Jean, The Driveway Lady, started doing driveways with her father when she was just a little girl. She decided to continue on the family business after her father had retired. Today, Jean is still doing driveways and has expanded her business to accommodate her customers every need. From the smallest seal coating job to paving, concrete and hardscape, we accommodate all this and much, much more. Like always, The Driveway Lady is still family-owned and operated. Our family is dedicated to quality workmanship and customer service and completing the job for the price quoted. Let our family work for yours — we guarantee a great experience and quality workmanship. 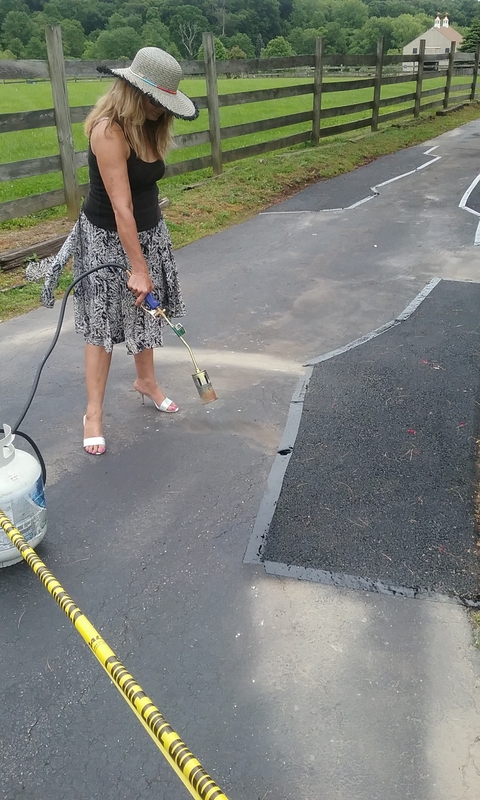 Jean's daughter, Jane, works for The Driveway Lady by offering repair and seal coating in the Ephrata area, and can be reached at 484-318-1868.